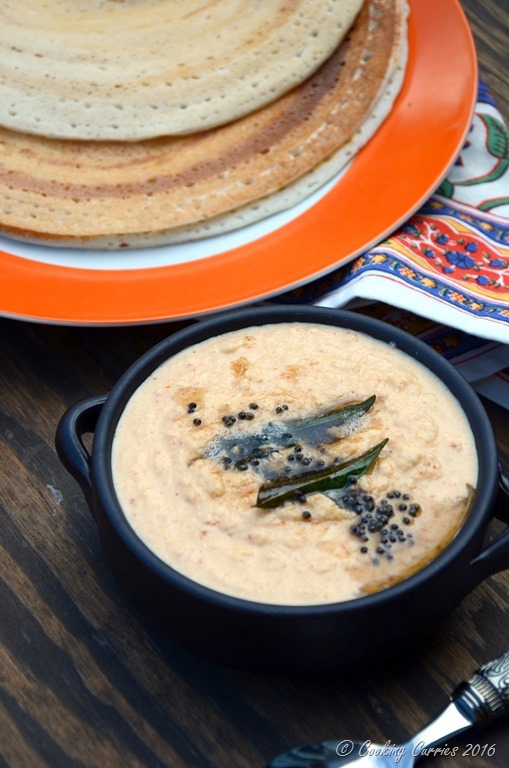 Growing up, chutneys meant just one thing, something that is a dip to the crispy dosas and spongy idlis. Not anything else and nothing even remotely sweet and with fruits and other spices! Most chutneys were coconut based and there were a few others like tomato chutney or tomato onion chutney which sometimes did not have coconut. My suspicion is that, they were invented when the kitchen ran out of coconut and something had to served along with those hot dosas for breakfast. Amma and Paatti made two kinds of chutneys, mostly. One was the plain coconut chutney with some green chillies for the spice. The other was the Onion Tomato Chutney (also with coconut). I have eaten this Coconut Pearl Onion otherwise but I never knew that the secret ingredient was the pearl onion which made it taste so much better than the regular coconut chutney. The only way I knew this was different was that it used dried red chillies instead of the green chillies that were used in the regular coconut chutney. 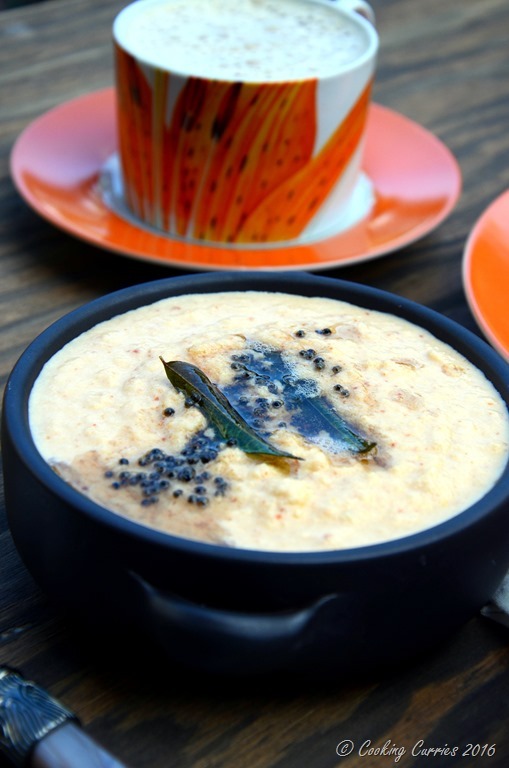 I would ask my mom to make the coconut chutney with the red chillies instead but it would still not taste anywhere close to the one with pearl onions in it. It was only much later, when I grew up and had my own kitchen and started asking people for recipes of things I liked, that I got to know of this secret ingredient. 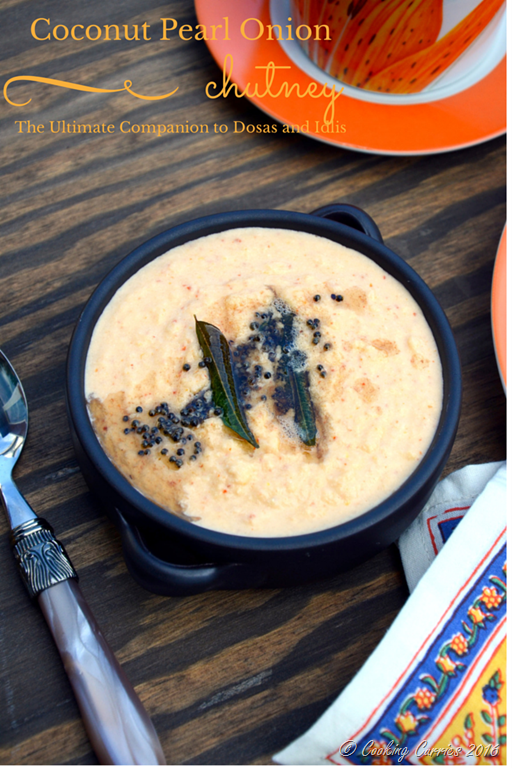 It still remains my favorite way to make coconut chutney. If using frozen grated coconut, place the coconut in a bowl and heat in the microwave for 30 secs or so. This gets the natural oil in the coconut to get to room temperature and will not stick together while grinding the coconut. Transfer to a serving bowl. Pour a little water into the mixie or food processor jar and wash out the chutney in it and pour it to the rest of the chutney. Mix well. Heat the coconut oil in a small sauce pan. Add the mustard seeds. Once they splutter, add the curry leaves and pour over the chutney. 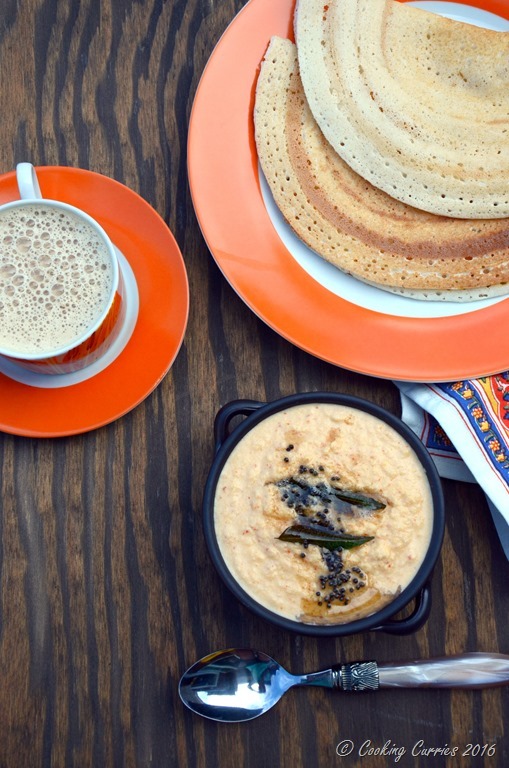 A perfect accompaniment to dosas or idlis.